Sorry Phil Goff. Free speech strikes again. 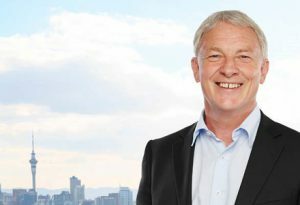 The long-planned Phil Goff is a Gigantic Prick Festival is set to go ahead at multiple council-owned venues tonight, a welcome relief for the organiser, who worried a pair of far-right Canadian speakers would threaten his completely unrelated and otherwise peaceful triennial event. Kevin Henare, who has no association with or sympathy towards Lauren Southern and Stefan Molyneux, said he became worried about the future of his festival when Phil Goff made the call to ban the pair from council-owned venues last month. Goff pivoted to an answer about the Southern and Molyneux event, saying he was “very glad” planned venue The Powerstation had decided not to host them. “These really are uniquely repugnant views,” he said. “What about the Phil Goff is a Gigantic Prick people? Are they repugnant?” interjected a local reporter. Goff sighed, and stared at the ground, shaking his head. In the last hour, Goff has requested Auckland police keep an extra close eye on the festival “just incase” there’s any “funny business” or “violent terrorism” occurring at the event.